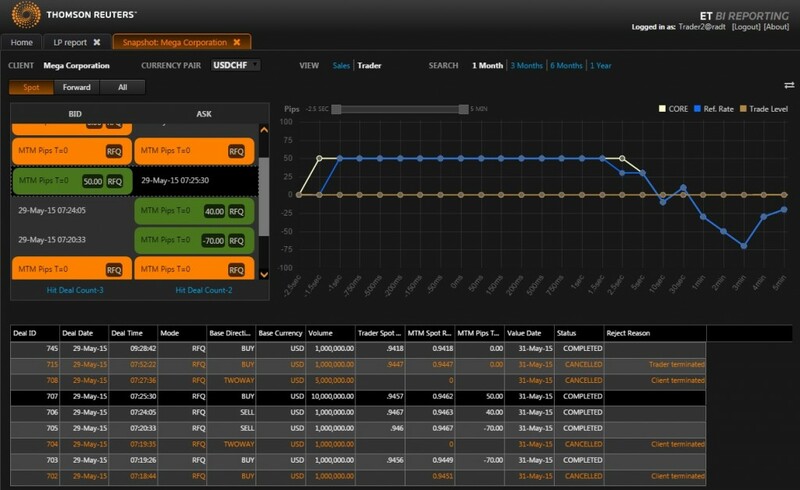 Thomson Reuters has added several product enhancement to its Electronic Trading, white label platform that is available to banks. Thomson Reuters announced today that its Electronic Trading platform has received a series of interface and connectivity enhancements. The platform represents Thomson Reuters’ white label offering, which bank customers use to provide electronic trading services to their customers. As an end-to-end product, the platform includes the ability to connect liquidity, price and distribute FX quotes to customers, hedge client order flow, and a front-end trading platform. In addition to pricing, Thomson Reuters stated that it had improved the platform’s core pricing engine to reduce latency as well as adding new order types. In regards to the front-end, the platform was redesigned to allow for greater branding flexibility and improve the end-user experience. According to the firm, the platform is currently being used by over 100 bank customers.